1. Provide explicit, systematic instruction in vocabulary. Children require multiple exposures to words in order to develop a rich understanding of their meaning and use. Teachers should make a point of introducing interesting new words for children to learn into each classroom activity (Tabors, 2008). - Presenting vocabulary thematically helps children make associations between words and scaffolds students' learning (McGee & Richgels, 2003). - Read-alouds that include explanations of targeted vocabulary can support word learning (Brabham & Lynch-Brown, 2002; Coyne, Simmons, Kame'enui, & Stoolmiller, 2004), as can dramatic play organized around a carefully chosen theme (Barone & Xu, 2008; Tabors, 2008). 2. Ensure that ELLs have ample opportunities to talk with both adults and peers and provide ongoing feedback and encouragement. - For group activities, pair English language learners with children who have strong English language skills, and make sure that all the children who speak the same home language (L1) are not grouped together (Barone & Xu, 2008). - Provide opportunities for self-directed activities so that ELLs can choose activities that match both their interests and their language abilities (Bunce & Watkins, 1995). - Encourage child talk by providing prompts when children need help in expressing themselves (e.g., "Tell Bobby, 'May I have the red crayon now?'"). - Use open questions, or questions that can have multiple answers, to help ELLs expand their own utterances (e.g., "Why do you like this doll best?" instead of "What is this doll's name?"). 3. Expose ELLs to rich language input. Exposure to rich language, whether through shared book reading or through teacher talk, has been shown to enhance children's oral language development (Aukrust, 2007; National Early Literacy Panel, 2008). One effective strategy is for the teacher to provide an ongoing commentary on activities that are taking place in the classroom in order to expose children to language associated with the immediate context (Bunce & Watkins, 1995; Tabors, 2008). 4. Structure the classroom space and routine to provide scaffolding for ELLs' language learning. Arrange the classroom in a way that supports each type of instructional activity that will take place, and then keep changes to the physical environment to a minimum. Once ELLs learn which activities take place in various parts of the classroom (e.g., centers, circle), the physical environment will cue them as to what they are to do and how they are to behave in that area (Barone & Xu, 2008). Predictable classroom routines can also provide scaffolding for English language learners by allowing them to anticipate what will happen each day, including the type of language they will need for each activity (Bunce & Watkins, 1995; Tabors, 2008). 5. Encourage continued L1 language development. - Encourage parents to talk and read to their children in their home language as a way of strengthening children's language skills. 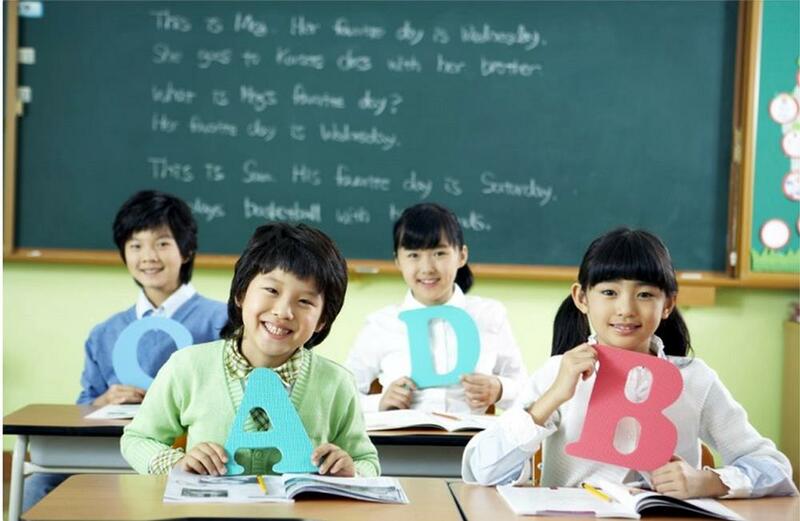 - Incorporate children's home language in the classroom when possible. Songs and videos can be used effectively for this purpose if teachers do not speak their students' language (Gillanders, 2007). 1. Design instruction that focuses on all of the foundational literacy skills. The emphasis should be on code-based instruction, or instruction that helps children understand the relationship between spoken language and print (National Early Literacy Panel, 2008). 2. Recognize that many literacy skills can transfer across languages. Teachers can support parent-child reading by sending home books in the child's home language. This makes L1 text available to parents, and it lets them know that the teacher considers reading to children in the home language to be important. 3. Accelerate English literacy development by helping ELLs make the connection between what they know in their first language and what they need to know in English. Similarities between English and the child's home language can be used as a foundation for instruction (Helman, 2004). For example, if L1 has some of the same phonemes as English, start with those phonemes for rhyme or beginning sound activities because those are sounds the child is already familiar with. Children usually have the most difficulty when they encounter sounds that are present in English but do not occur in their home language. For this reason, Spanish L1 speakers often have difficulty with the "short" or lax sounds of a, e, i, and u and with the consonants j, r, v, and z (Bear, Templeton, Helman, & Baren, 2003; Helman, 2004). « Prev CTY - Center for Talented Youth?